So you’ve finally decided to buy a new car. Your current vehicle is battered, bruised and clearly been around the block a few times, and rather than go to the hassle of selling it privately, you’re going to cash it in with a scrap car dealer. 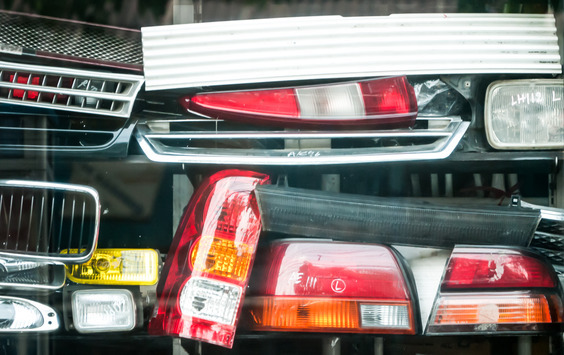 So how can you make sure you maximise your car’s value when you come to sell it? When scrap years buy a car for scrap they will sell as many components as they can individually. This means that if it has been poorly maintained there will be fewer salvageable parts that they are able to sell. With this in mind, it is essential to conduct regular servicing to ensure that your car’s engine components are in the best possible condition to boost the scrap value of your vehicle. However, this goes beyond professional servicing, and you should also maintain various elements of your car yourself. This includes changing/topping up the oil when necessary as well as keeping your tyres properly inflated to avoid premature wear and tear. They judge the value of a scrap car on its condition, however how the car appears can also have an impact on their valuation, so if it hasn’t been washed for decades or contains the wrapping of your last 20 takeaways then this certainly isn’t going to reflect well on what’s under the bonnet either. More importantly, dirt and grease can also help to degrade vehicle components faster, particularly around valves and the more delicate parts of the engine. If you ever need to replace a part of your car – be it on the inside or out – it may be tempting to do so on the cheap, using a part that is not necessarily designed for your specific make and model of vehicle. For example you may choose to replace a broken wing mirror with the cheapest you can find, which might even be of a completely different colour, however ultimately this will lose you more from the value of your car than you will save by buying a cheaper part. To maximise the final value of your car when you come to sell, be sure to only replace components with the official parts. Of course the best advice we can give on maximising your scrap car value is to find a company that offers the most competitive price. Sell the Car Ltd don’t think you’ll find a better scrap car price in the UK than them. They boast they have no hidden charges or fees, and they won’t try and haggle with you when they come to your premises to pick up your vehicle. The price you’re quoted is the price you’ll receive. They’ll even give you your tax back if there is any left on the car! Mobility – Do you exchange your mobility allowance for a car? Cheap Flights – Want To Get Away This Summer?